Angela and Michael Pullo had three things in mind when opening their business: cats, coffee, and community. 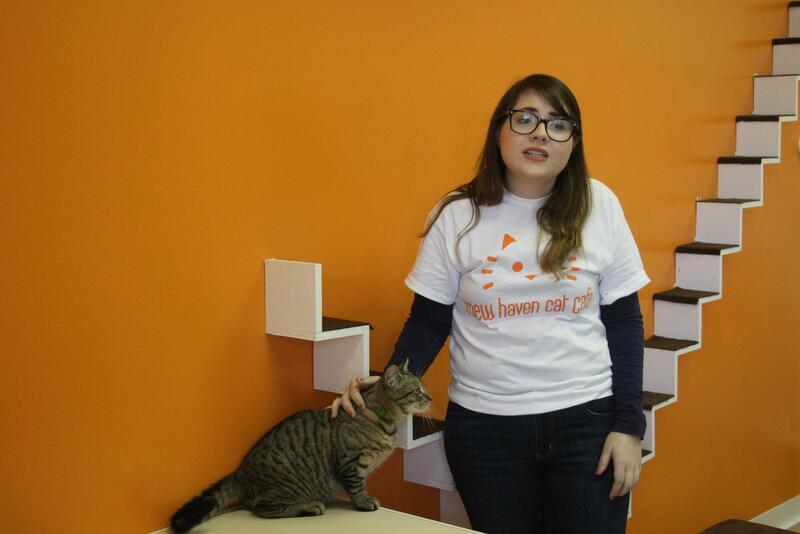 The couple opened Mew Haven Cat Café, the first of its kind in Connecticut, to accomplish those goals. On Whalley Ave. in New Haven’s Westville neighborhood, passersby can see furry felines to make friends. 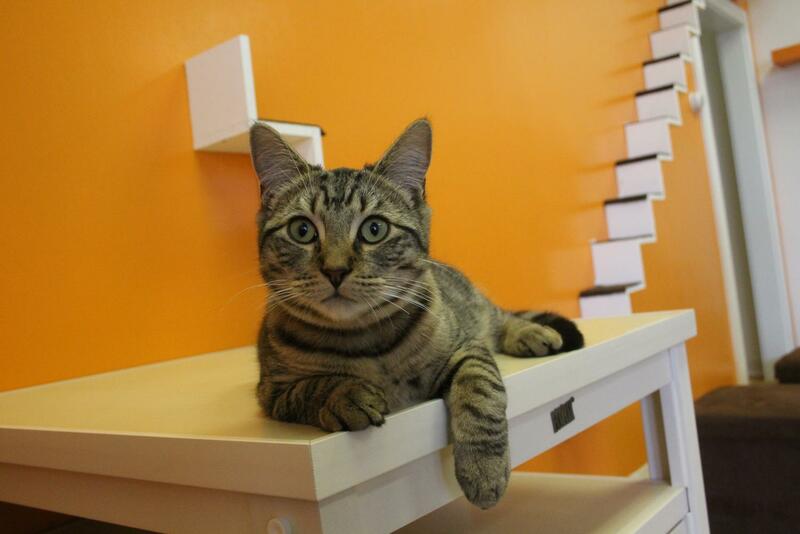 A cat café is an open space resembling a coffee house, but built to be an ideal space for cats to live. Visitors can come in and spend time with the animals, using toys to play or joining them on a couch. Michael Pullo had his own cat that he adopted for a friend for about 15 years. Once that pet died, he searched for other outlets to “get their cat fix” and to maybe even get other cats adopted. “We weren’t ready to get, you know, another pet yet, but as we were kind of becoming aware of the popularity of cat cafes, we realized that this could be another outlet,” he said. become comfortable in their new home. Michael and Angela Pullo decided to open up their business in New Haven because they had a good feeling about the community and felt it would benefit. 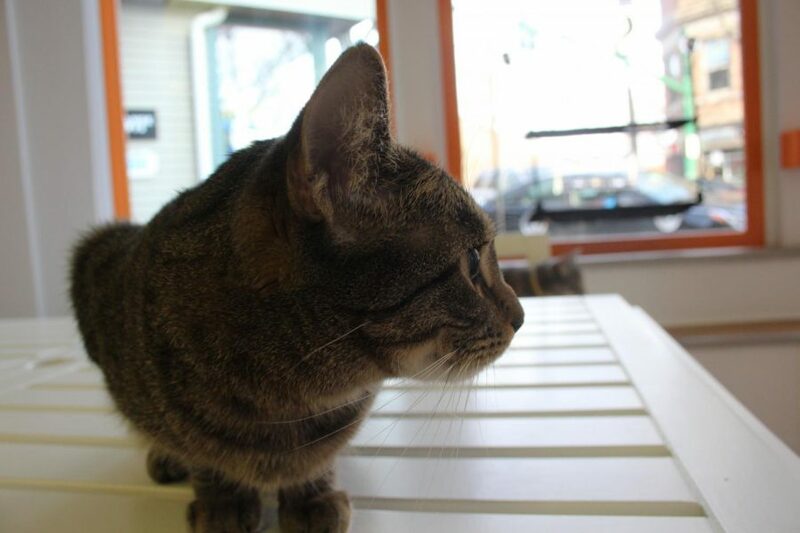 There are already three cat cafes in the New York City area where they lived, so they moved away from that, as Michael Pullo is a Connecticut native. “The whole crux of our idea is ‘bring people together over a common interest,” he said. Megan Rowland, a resident of the Westville neighborhood who visited the café on Dec. 2, said she’s been following Mew Haven for a couple years, waiting for the venue to open. Mew Haven Cat Café will be open through Dec. 13, when they will close temporarily to make structural updates and install the “café” part of the venue. Angela and Michael Pullo encourage visitors to make reservations through their website, as spaces are filling up quickly.